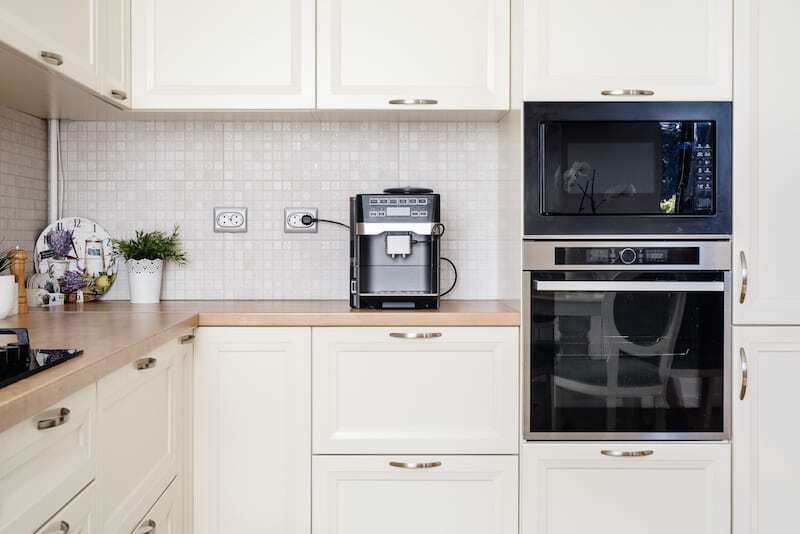 The number of outlets in your kitchen, as well as their location, is crucial to ensure the easy access to, and safe utilisation of electrical appliances and gadgets. This is especially true in a kitchen settings, where there are all sorts of electrical devices and appliances. 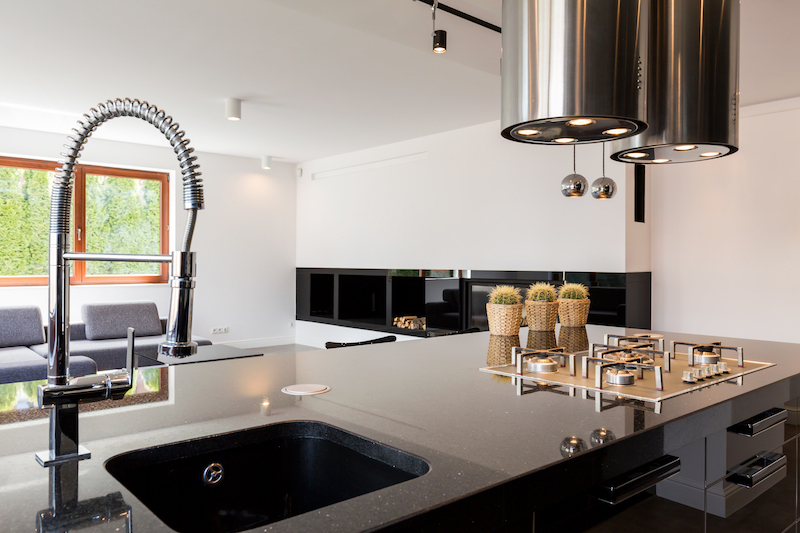 Juicers, deep fryers, electric kettle, espresso machines, and ovens are just a few cooking appliances that can be found in a typical kitchen environment. If it is not properly organised and everything kept in its right place, the chances of a potential accident is high. In fact, electrical shocks are a frequent cause of kitchen fatalities and injuries. Electricity in combination with wet flooring, wet countertops, damp food preparation surfaces as well as dishwashing machines are significant potential hazards. What’s more, damaged or worn out electrical cords, appliances with faulty or improper wiring all pose a serious danger to your life. Equally, we can’t forget to mention that even though outlets and switches are a necessity and are needed for everyday functionality, they can interrupt your decorative style and overall house design. Thankfully, a number of designers and building contractors, have come up with a broad range of techniques and ideas for making cables and outlets as little obstructive as possible. What’s more, many companies have come up with innovative products which can help completely seal all electrical components in your kitchen. If you are currently wondering how you can hide all the electrical outlets and cables in your kitchen, you are definitely in the right place. We want to provide you with top-notch industry tips on how you can make this a reality. Did you know that you can reduce the clutter around your kitchen by designing a good charging station in the drawer? On most occasions, you’ll find that your smartphones, tablets and other devices are scattered all over the place in your kitchen. You can get rid of this mess by converting one of cabinet or drawer into your charging station. This not only reduces your risk of injury, by hiding the outlets and electric cables but equally helps to declutter your kitchen in a way. You can twist-tie relatively long electric cords for those kitchen appliances which need to remain in your counter. You would want to make sure that the appliance that is connected to the outlet is as close to it as possible. If you didn’t know, these types of outlet help to eliminate the problem of protruding plugs, allowing you to push those small electric appliances directly against the wall. There are various types of recessed outlet box out there on the market and you can always find the best one that fits the bill. It is also important to note that the recessed box allows items including furniture to be placed close to the wall and this, in turn, helps to hide those long cables and protruding outlets. Hide your electrical cords behind organisational items. The chances are high that you have vessels filed cooking utensils, flour, sugar and other items. Place them creatively in front of the electrical cords in your kitchen. 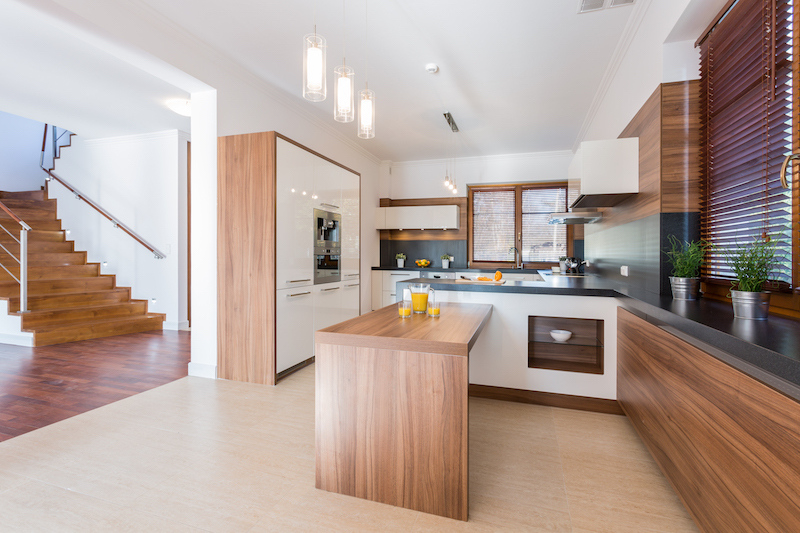 In this regard, you can also make those hanging cords to become part of your kitchen decor. For instance, you could choose to thread large wooden beads on a dangling cable. You could even incorporate it into your new kitchen island. That’s just one of the many benefits of a kitchen island. Create a space on one of your cabinets and use the space to keep some of the appliances that you rarely use. Such appliances may include the rice cooker, blender and perhaps bread maker. Apparently, when such products are kept away, you’d not only have created enough space for your kitchen, but you’d have kept all those long cables and cords out of sight. This is equally an effective and simple way to keep those outlets out of sight. With pop-up outlets at your disposal, you’ll only have to use and see them when you have to. Such outlets have become increasingly popular, thanks to the level of convenience and beauty they offer. They can be installed on your base cabinetry and only come out or disappear accordingly. The best time to install them is during a kitchen remodel. If you are remodelling your kitchen, you can achieve a clutter-free, clean and contemporary look by having your outlets tucked into the underside of your shelves rather than on the walls. This procedure makes it easy for you to access them when needed but equally hides them out of sight when not in use. You can safely hide all your outlets and cables and streamline the design of your kitchen by adopting these effective tips. At Kitchen & Stone, we are full of surprises, we are constantly coming up with designs and innovations to help improve your experience and convenience in the kitchen. 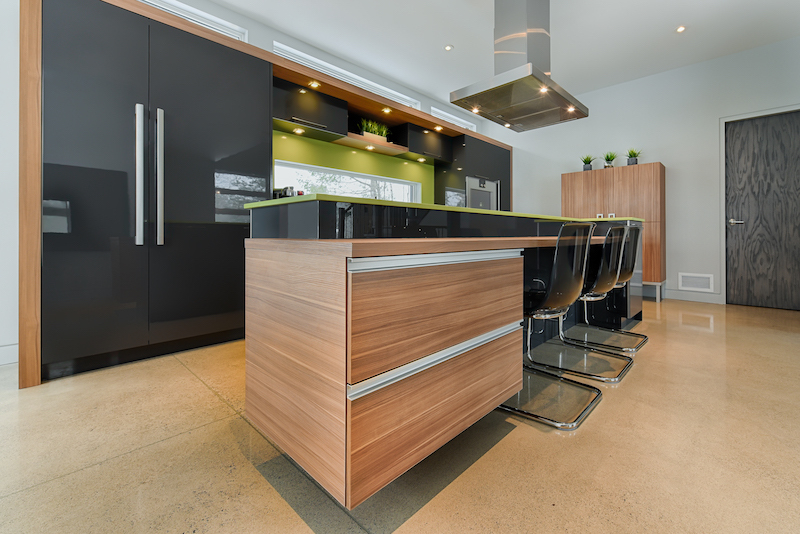 Contact a kitchen expert today from Kitchen & Stone for professional consultations on your kitchen! We service all parts of Sydney!